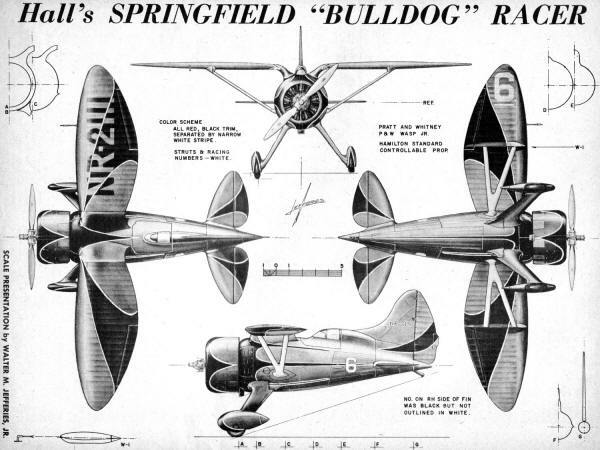 One thing you rarely - if ever - see in today's modeling magazines is a detailed line drawing of a full-scale airplane like this 4-view for the Hall's Springfield "Bulldog Racer" by Mr. Walter M. Jefferies, Jr. Turing out such a work of art required incredible talent and a lot of time. 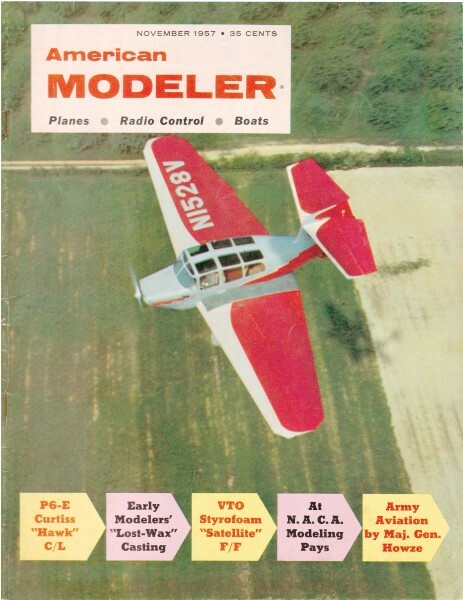 The image was scanned scanned from page 28 of my purchased copy of the November 1957 American Modeler magazine. Mr. Jefferies and Mr. Björn Karlström, a couple hundred of such fine illustrations were produced, often at a prolific rate of one (or more) each month. All copyrights (if any) are hereby acknowledged.